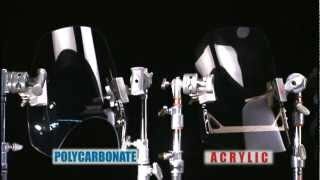 National Cycle Replacement Screens are a direct, exact fit for the OEM windshields on early model Honda® ST1100 and Yamaha® FZ-1 motorcycles. 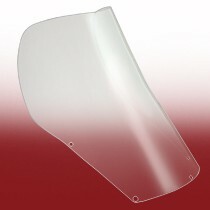 Our upgraded features include a taller height and tough, FMR hardcoated polycarbonate material. 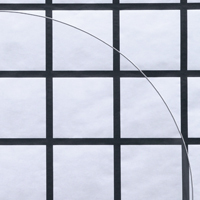 Windscreens are measured vertically from the bottom center edge to the top of the screen, and horizontally across the back at the widest point. The slightly curved and taller top edge directs wind up and over, without causing turbulence. 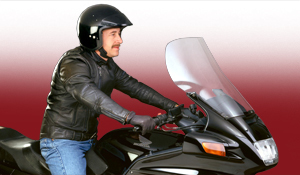 These are ideal windscreens for riders looking for more wind protection and touring comfort. Optical clarity and precision edge quality make these screens an unbeatable value. Constructed of 4.5mm FMR hardcoated Lexan® polycarbonate for unbeatable impact and crack resistance, as well as excellent abrasion resistance.